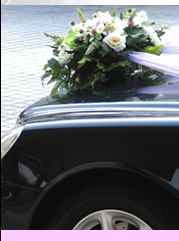 If your looking to be taken to and from your ceremony, venue or simply arrive or leave in style then why not let our chauffeur take care of that. Our certified uniformed chauffeur and car will make that perfect addition to your day. Our range in the Surrey and Sussex areas offer you a great choice, with a Mercedes S Class Wedding £375 or £125 per hour, Mercedes E Class Wedding £310.00 or £125 per hour, Bentley Arnage Red Label £575 to £695 for weddings only (no time limit).